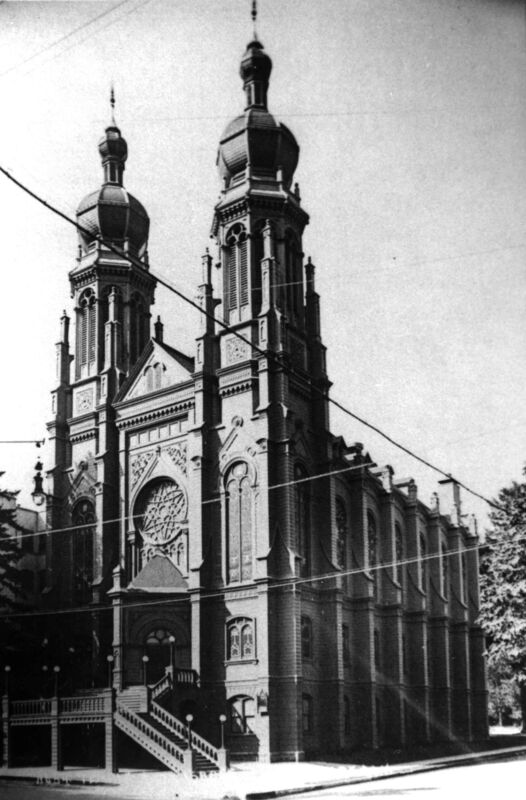 Solomon Hirsch was born Stuttgart, Baden-Wurttemberg, Germany in 1839. His parents were Samson and Ella Hirsch. Solomon came to New York in 1854, at the young age of 15. Solomon Hirsch worked as a traveling salesman in New Haven, Connecticut and Rochester, New York. Hirsch arrived in Portland by way of Panama Isthmus in 1858. He ran a store in The Dalles, Oregon, until 1861. With Jacob Mayer and Louis Fleischner, Solomon Hirsch was one of the founders of Fleischner, Mayer & Company,the largest wholesale dry goods company in the Pacific Northwest, serving Oregon, Washington, Idaho & Montana. Solomon Hirsch was a champion of the Portland Chamber of Commerce. He was also a Life Member of the Portland Library Association. 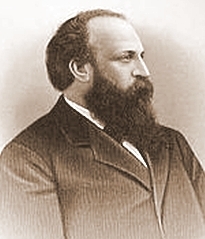 Hirsch was Chairman of the Oregon Republican Central Committee in 1882 and 1886. He served in the Oregon State Senate for 20 years, and was President of the Oregon State Senate during the 1880 session. Hirsch served as Envoy Extraordinary and Minister Plenipotentiary to the Ottoman Empire from 1889 to 1892. 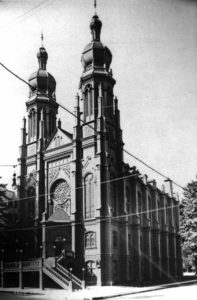 Solomon Hirsch served as President of Congregation Beth Israel. Hirsch was a prominent Mason. 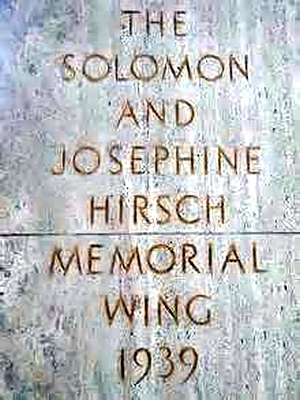 Solomon Hirsch married Josephine Mayer in 1870. Together they had four children: Ella, Sanford, May, and Clementine. Josephine Mayer Hirsch became the leader of the Portland Equal Suffrage League. Daughter, Ella, bequeathed $853,000 ($12,000,000 in today’s currency) in her parents’ name, to the Portland Art Museum, in 1939. Solomon Hirsch’s brother, Edward Hirsch, served as Oregon State Treasurer. Solomon Hirsch died in 1902. He is buried at Beth Israel Cemetery in Portland. Joseph Gaston, Portland, Oregon: Its History and Builders, Volume 2 (Portland, OR: S. J. Clarke, 1911). Gladys Sturman is curator for this Soloman Hirsch exhibit.